I practiced the first six years of motherhood on the sweet and precocious Savannah, a red-headed and brilliant little drama queen who changed my life forever. Before her, I was a hard-drinking, self-centered material girl of the ‘80s, and immediately after she arrived in the world on March 23, 1988, I had a purpose in life that was way, way bigger than my hair. Savannah uttered her first words at nine months, was stringing articulate sentences together at one year, and she’s never really shut up since. I have always loved that about her…you never have an excuse not to know exactly what the hell is on her mind. Kevin and I showered our princess with affection, obsessed over her health and wellbeing, and spoiled her just a little bit rotten. We talked a lot about raising her as an only child so that we could give her every advantage that was possible in the world. However, in the end, we agreed that the best thing we could give her was a sibling. Cherishing a sister of my own, I was over the moon when I delivered a sister for Savannah just six days shy of her sixth birthday on March 17, 1994. Mack was a chubby but athletic little toddler, and kind of a little bruiser. Savannah was a dainty and cerebral child who would sit quietly for hours reading a book. Mack skipped crawling and started walking at eight months, and very soon after that was able to run after her big sister. Watching my barefoot toddler chase after (and sometimes terrify) my skinny and giggly girly-girl in ruffled socks was such a hoot. Savannah would yell and scream at me to make her sister stop, but she already knew what needed to be done. Savannah would drop to her knees, hold out her arms, and Mack would barrel into her with a monster hug. My girls were so different from each other, and it was a joy to watch them navigate the world in their own individual ways. In large gatherings with family, and especially within our close circle of friends in Springfield, Savannah sat with or spied on the adults, while Mack led the gang of kids as far away from the grownups as was absolutely possible. Savannah talked early, but had no interest in athletics; Mack walked early, but didn’t talk until she was almost two. I always teased Savannah by saying that Mack didn’t talk because she couldn’t get a word in edgewise. But when Savannah left for college, and Mack did not step in to fill the silence, I knew there was no truth in that at all. 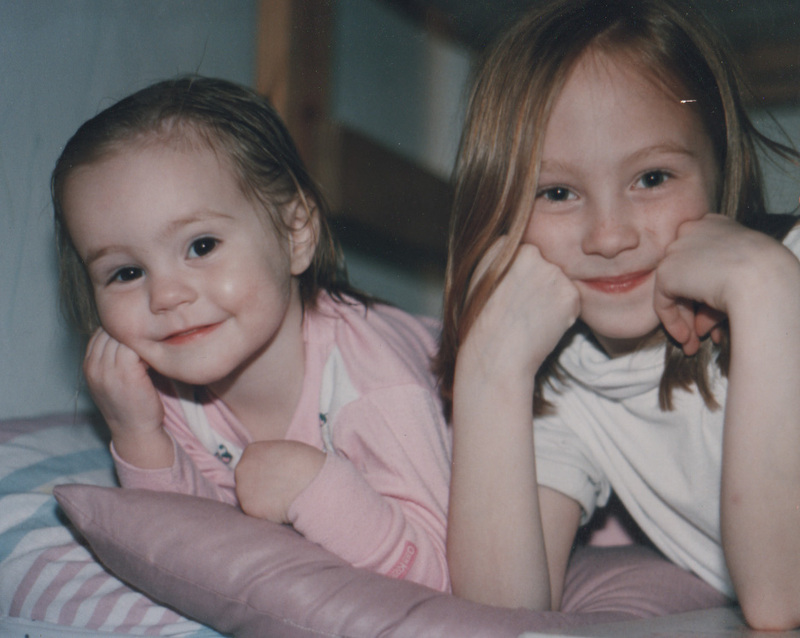 The six-year gap in their ages was sometimes difficult, and my girls did not always get along, but they adored one another. Sometimes it was way, way, deep, deep down, but there was a great deal of love between them. Their names for each other offer just one example of their shared respect and affection. When Mack finally started talking, she called Savannah “Sissy.” It may have started because she couldn’t put her tongue around the word Savannah, but it stuck even after she grew up because she idolized her big sister. While most everyone else called Mackenzie “Mack,” Savannah never did. She always referred to her by her full name and often chastised her dad and me for cheating her sister out of her full Irish name and calling her a name for a boy. She is the nicest thing we’ve ever seen! We have had so many laughs over that dumb little ditty, and now it is even more precious to me than ever before. Part of my overwhelming grief in the loss of my Mack is feeling so keenly the loss of Savannah’s Mackenzie. My precious older daughter has lost her baby sister. I certainly do not know what I would do without my sister; and I am heartbroken that the greatest gift we ever gave Savannah is gone. I do not know how she will ever accept this terrible loss; and I don’t know how I will ever accept mine. But one thing that is absolutely certain: I still have one very precious and dear reason for living. And I will do everything in my power to show my beautiful Savannah that she is not alone, that her sissy will be in her heart for the rest of her life, and somehow, we will survive this horrible tragedy together. When Mack was ten, she once asked me if she could stay ten, because, as she put it, “ten is da bomb.” Unlike her sister, who couldn’t wait to be a grown-up, Mack loved being a kid. She was so good at being a kid. When I would spy on her in our backyard playing with the neighbor kids in the fort or on the playground set or the basketball court, I often marveled at how vigorously she played and how completely immersed she was in the role of a kid. She perpetually had a dirty face, Kool-aid stained lips, candy in her mouth, and scrapes on her knees. Even when she became a teenager, went to high school, and ultimately to college, she was still just a big kid. Now, I’d like to think that some of her inner-child came from me. I giggle at stupid jokes and puns, I love to make silly faces (yes, people, Mack got that talent from her mom), and I adore cotton candy. But, I believe someone else is responsible for Mack’s professional status as a kid. My father was Peter Pan. He was an overgrown child who loved cards, board games, and video games. He lived on candy and popcorn, jumped up and down when he was excited, opened gifts with the enthusiasm of a five-old at Christmas, and adored kid’s movies. Mack had all of those youthful qualities and elevated most of them to an art form. So even though Mack didn’t get to know him very well, she was like her granddad, for sure. They both approached life with a sense of fun and the wide-eyed enthusiasm of a child. Growing up in Neverland, I developed a fondness for Disney animated films and live-action movies with kid heroes. Therefore, I was always ready to curl up on the couch with my girls to watch kid’s movies; and when Mack was little, watching her favorite movies was the only thing that could get her to sit still. Over the years, we each had our favorites, which probably say more about our individual personalities than we would care to admit! (Kevin: The Incredibles, Stacy: A Christmas Story, Savannah: The Little Mermaid, and Mack: Monster’s Inc.). But the shared family favorite was Harry Potter. We saw all the new movies, and then watched them on video over and over again, I had to buy two sets of the books so the girls wouldn’t fight over who read the new book first, and we once drove to St. Louis to see one of the movies at an IMAX theatre. Part of why knowing Mack and being in her presence was so delightful was the sheer pleasure of watching her get such a big kick out of the purest and simplest things in life. She really was a big kid, but she was wiser than most people twice her age and older. Like my dad, Mack understood that hanging on to your inner-kid was the best way to be a grown-up. One of the things that Mack and I enjoyed together, especially when she was young, was watching sports. She would sit with me on Sundays and signal all the touchdowns we witnessed. She would get up early with me to watch Wimbledon finals over breakfast. 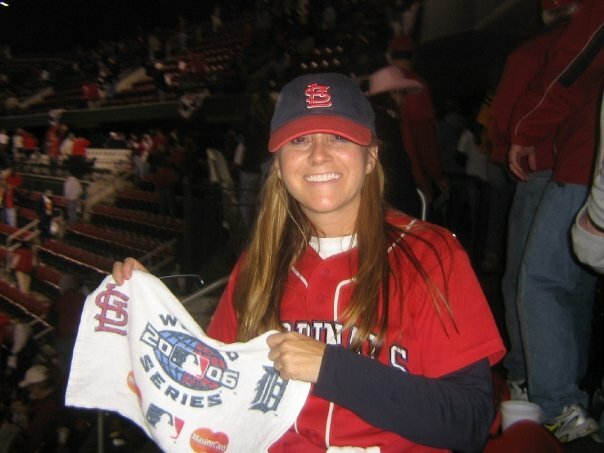 And I was completely successful in making her a tried and true fan of the St. Louis Cardinals. 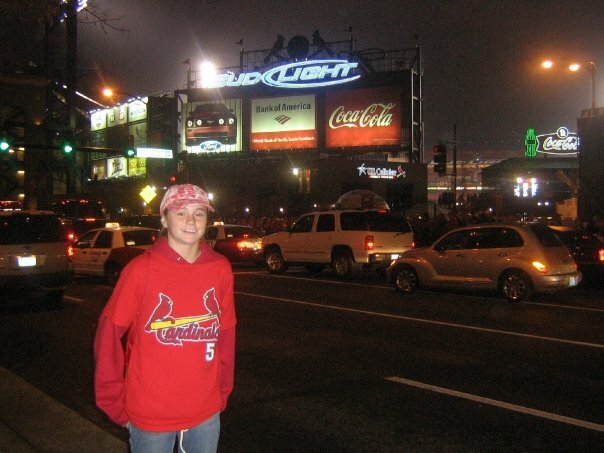 As a family, we made dozens of trips to St. Louis over the years to attend games; and many times, I would pick up Mack from school and just the two of us would head down to Busch Stadium for a weekday, evening game. We watched hundreds of games on TV, listened to the Cards on the radio on long car rides, and engaged in some most excellent tag-team trash talking against our misguided family members and friends who had the misfortune of loving the Cubs. In 2004, through a friend of mine who was a former umpire, I obtained two tickets for Game 5 of the World Series between the Cardinals and the Boston Red Sox. 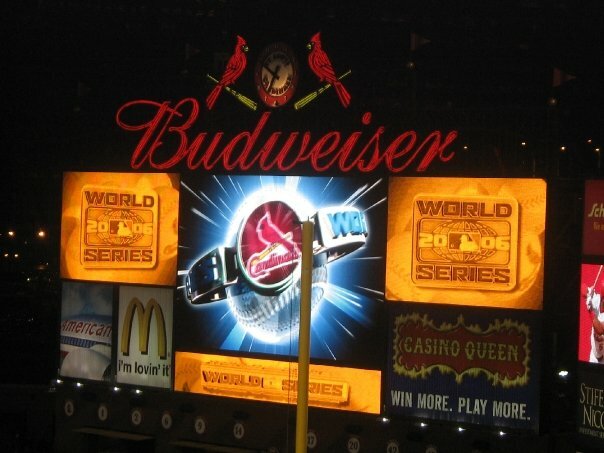 Mack and I were thrilled; and on the night of Game 4, I drove home early from a work trip so that we could attend our game the next day at Busch Stadium. 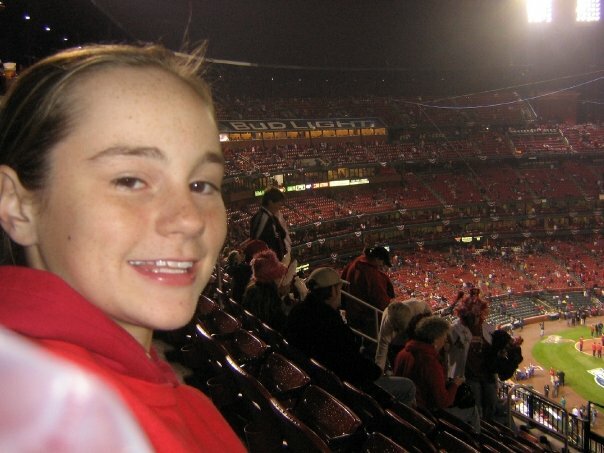 Well for those of you who don’t remember—or who, like Mack’s dad, don’t care—the Cardinals did not win Game 4. And they really needed to win Game 4, because they had lost the first three games of the best-of-seven series. I was listening to the game on the radio in the car and had not yet reached home when the Cardinals lost. As soon as the game was over and the reality of their loss set in, I started crying and my cell phone rang. It was Mack. She was also crying (although not quite so hard as her mother), but to hear her shaky and sad little ten-year-old voice was heartbreaking to me. How cruel was I to have dangled a World Series ticket in the face of small, sweet sports fan; and how horrible of a mother was I to have purchased Game 5 tickets to a-once-in-a-lifetime event? Don’t answer that. 350 bucks for 2 tickets + 2 twenty-dollar-bills for parking + 150 bucks for souvenirs and food + 5-4 Cardinal victory + 1 delighted daughter = priceless. Today was an emotional day for me. It was harder to focus, harder to be alone at my desk, harder to breathe. There was more pacing today, too. And more getting lost staring at Mack’s photos that are organized around my desk. 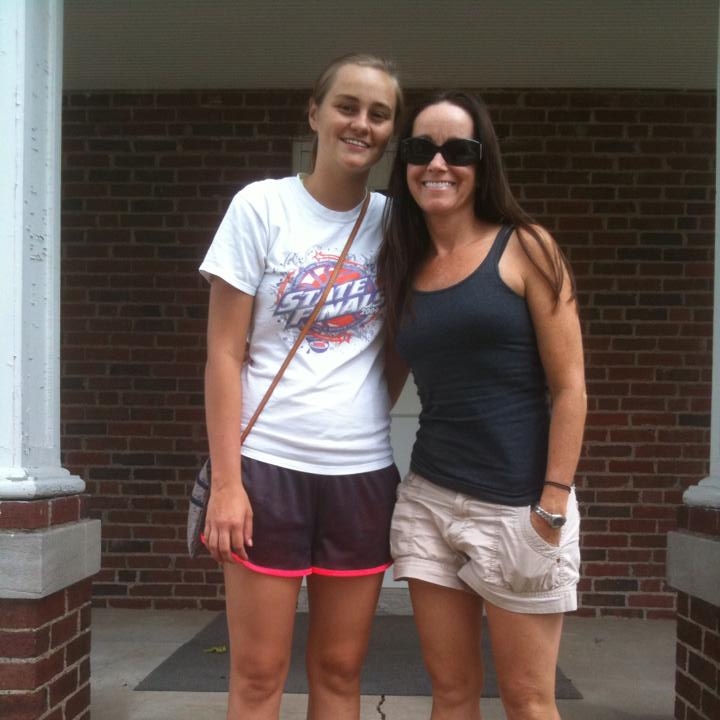 While looking at one photo of the two of us from the day we moved her to Truman State, I started weeping because I noticed her knees were actually at about the same height as mine but still she towered over me in height. Why hadn’t I ever noticed that before? Whew…breathe. There have been far more tears today than there were yesterday and there were also more numerous and more haunting ghosts in my mind trying to break the steely, determined hold of my eyes on the computer screen. But, 4 p.m. arrived, and I had somehow powered through; and I even accomplished a few tasks, although I am completely exhausted from the effort. And so, for the hours that remain of this awful day, I am going to try to do just that. What the bloody ‘ell is Mack doing in a phone booth? This blog has two goals: one is for me to document and work through my grief; and the other is to celebrate my Mack. Telling stories about her and thinking about her humor and her antics makes me smile. It always has. She made me laugh every single day she was in my presence. And so, I am going to keep her close to me by remembering her wit and her charm and by sharing it with you as well. Mack was obsessed with British culture. She was raised on shows like Keeping Up Appearances and the Vicar of Dibley, but as a teenager, she added a whole lineup of shows, including Dr. Who and her favorite Skins and watched them with regularity and an increasingly expanding contingent of her school friends. She adored British comedy, music, literature, and history. When she was in middle school, she practiced a British accent for hours in her room; and for an entire summer (including during weekend trips to basketball tournaments) she used that accent in most of her conversations with family members, friends, and strangers. She was even successful convincing a few new acquaintances that she had been raised in London and her American parents had forcibly transferred her to the American Midwest, where she was feeling quite out of sorts. I always laughed and rolled my eyes at her when she poured on that accent thick when asking what was for dinner or what we were doing on the weekend. But she just grinned her crooked grin and kept on with her ridiculous cockney tone. When Kevin, Mack and I traveled to Spain to visit my oldest daughter Savannah (who was living in Zafra in southern Spain) in the summer of 2011, Mack started begging for a stopover in London. She engaged in multiple encore performances of a very lively, persuasive speech about how important it would be for her to return to her homeland. A trip to London was not in the itinerary that I had already mapped and for which I had budgeted, but her passionate arguments were finding kinks in my armor. I remembered that Gibraltar was at the tip of southern Spain, and I thought it was a British territory. I whispered this suspicion just once, and Mack was on it. It was, indeed, at the tip of Spain and it was perfectly English. And so, in a tiny rental car, we drove 700 km round trip from Zafra to Gibraltar, where we laid eyes on that famous rock and, most importantly, gave Mackenzie an opportunity to return to her homeland. We ate fish and chips in an English pub, watched some European soccer, leaned in to listen to real British accents, and Mack pointed out every damn Union Jack we saw flying throughout the town. It was crazy to drive there on a day trip. It was weird to add it to our Spanish vacation. Savannah’s Zafra friends thought we were a bunch of ridiculous Americans. But it was so much fun, and Mack was positively delighted. Looking back on it now, that silly little diversion from our carefully orchestrated vacation plans was one of the best and most important spontaneous things we ever did. That trip allowed me to give my baby one of her dreams and it gave me one of my favorite pictures of her. 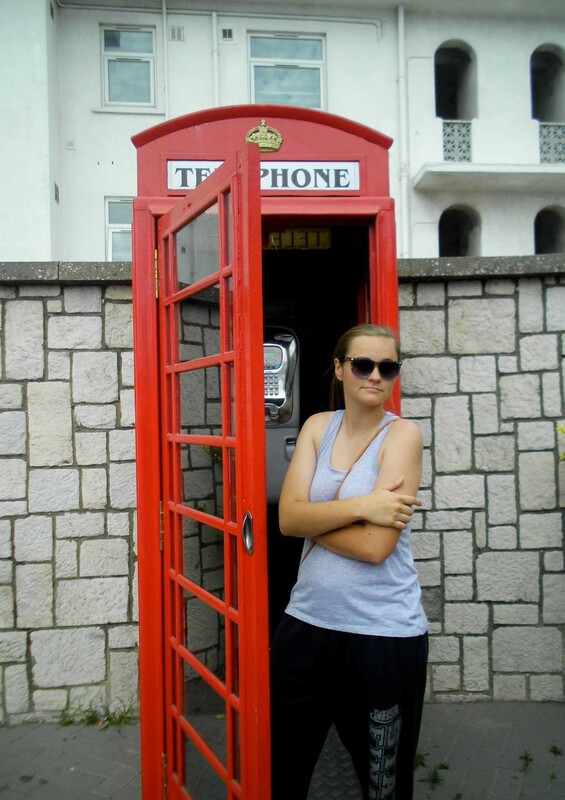 In it, she is hamming it up in a British phone booth, and I can hear her stupid British accent right now as I write. Today was my first day back to work, and it was tough. I still feel shocked and shattered, and I suppose I also feel kind of guilty for trying to move on with a normal life. Life cannot be normal without Mack, so trying to be normal without her seems disrespectful. Doesn’t it? No, no, no! Of course not. I know that’s not true. It’s just so damn hard to feel that it is false. Mack loved life, and she would want me to keep living. And, the truth is simple: most of the stretches of good hours that I have managed to piece together in the last three weeks have been focusing my mind on things other than my lost daughter. Only when I concentrate on a conversation about the weather or politics, watch a baseball game, or listen to an audio tape of a Harry Potter book can I keep the sorrow at bay. Because for now, when I think about Mack, I cry and lose my breath and the despair devours me. So, I DO know that I have to find my new normal. I must work. I must focus on something other than the despair. I must stop the self-pity. I must find constructive outlets. I certainly cannot lie around listening to audio tapes of Harry Potter forever. No lies, though, people. This is a rough business making a new normal. Going back to work was hard, and it will continue to be hard for a long, long, long, long time. It is a terrible challenge to focus on work tasks that are far less important to me now than they were on October 6, the last day of my old normal. However, focusing on work will help keep my emotions as calm as is possible now and, ultimately, my hope is that the work will again be rewarding. But today, all work did was to keep me from giving in to my sorrow. I guess that will have to be enough for now. Mackenzie was a beloved daughter and granddaughter, a devoted sister, a favorite cousin, and a loyal best friend to many people who knew her. She possessed a kind and gentle spirit, an uncommon inner peace, a profound sense of social justice, and intellectual curiosity beyond her years. She was never judgmental, hurtful, or boastful. She was a charming comic, a gifted athlete, a passionate lover of all animals, and a blossoming young writer. 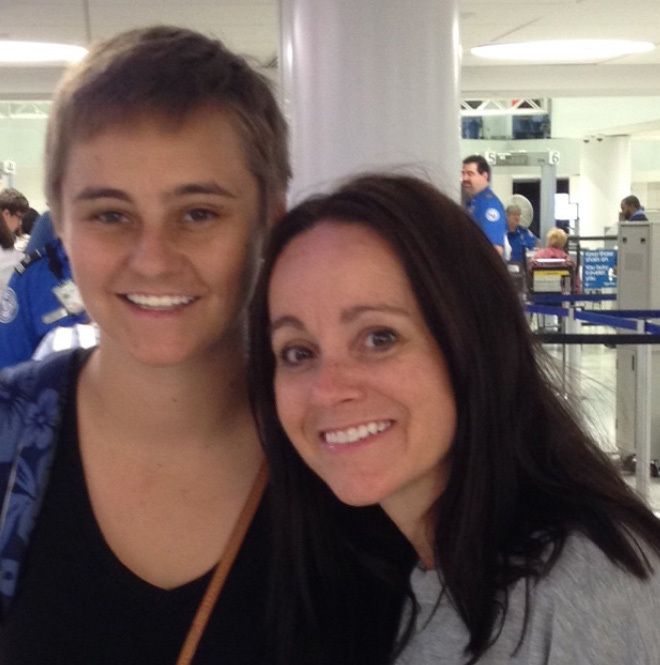 She was my sweet, funny, and perfect baby; and for twenty years, I was her doting mother. Raising her and her older sister Savannah is the best work I have ever accomplished; and losing her is the hardest challenge I have ever had to face. In my personal struggle to comprehend my loss and to come to terms with my intense grief, I have created this blog. Through writing, I hope to channel my grief in a positive direction by documenting my sadness, by sharing joy and love through stories of our amazing relationship, and by celebrating her beautiful life. I called her Mack partly because she was such a tomboy as a kid, but mostly because she always exhibited such admirable inner and outer strength. She called me Momma Bear. While I knew the nickname was her teasing way of challenging my over-protectiveness, I understood that it was also her way of accepting and appreciating my unconditional love for her. In life, Mack was a total joy. In death, she leaves an enormous hole in my heart. Writing about being her Momma Bear will help me to bridge the gap of love and loss as well as to honor her spirit. In so doing, I will try—-no, I will need—to evoke both her strength and her humor. And, in this process, perhaps there will be some solace and, ultimately, survival.